New Orleans has been quick to adopt the trendy food truck concept. Now it'll be easier to try the many different food trucks in and around the city because New Orleans has opened its first permanent food truck park! Deja Vieux Food Truck Park can host up to six food trucks daily, including the lot’s resident food truck, Soulsation Kitchen. 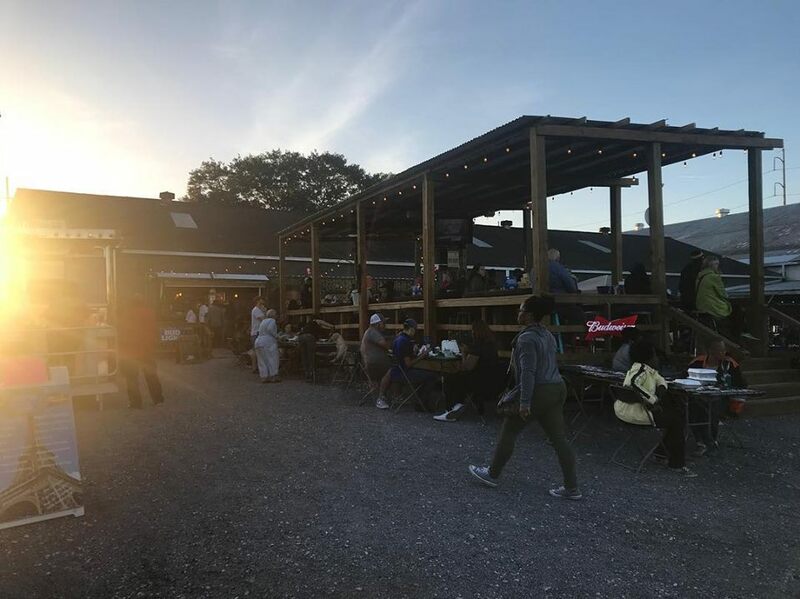 Inspired by a food truck park in Austin, Tx., Deja Vieux brings a new hub of local street food to the Lower Garden District. The food truck lot features a fully-stocked bar made from a shipping container. Guests can also dine under a covered patio and there are several entertainment options for guests including TV’s and bar games. Owner Ross Baudy also plans to bring an interactive scene to the location with weekly entertainment, happy hour specials, themed-nights like ‘Taco Tuesday’ and Sunday jazz brunch. He also says they’re in the process of developing a dog menu for pets.